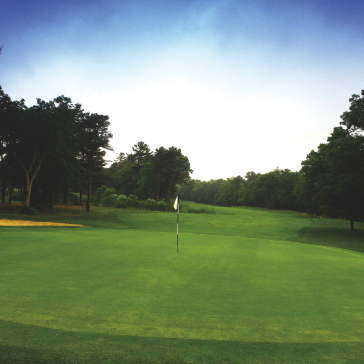 From memberships to club cards, Falmouth Country Club has your ticket to the Green. 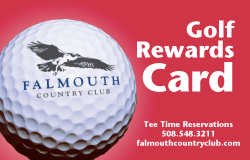 Falmouth Country Club is proud to offer you its 2019 Annual Pass, a 365-day-a-year membership! 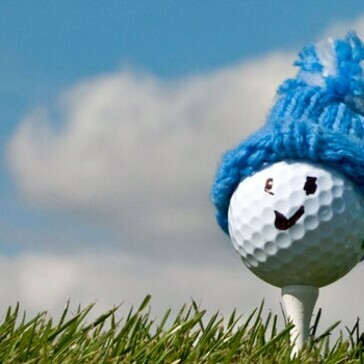 In general, golf is unlimited, except from June 15th to September 15th, play on The Osprey Course is restricted between 7am – 11am on Fridays through Sundays and Holidays. The Talon Course is always unrestricted. 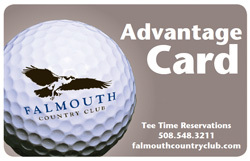 Falmouth Country Club members receive many benefits! Unlimited green fees with no restrictions. Unlimited green fees during privileged times. $2,300 with spouse or dependent. $800 for each additional dependent. Unlimited green fees after 1pm. Otherwise, same privileges as individual. Must be under 18 years of age. *Must show proof of Falmouth or Mashpee residency. 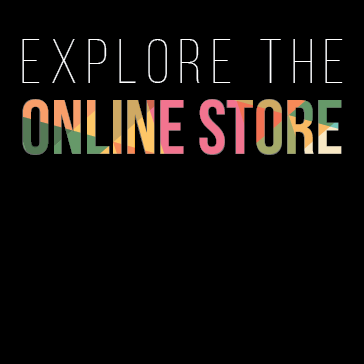 Visit the Golf Shop or purchase online to join. Program subject to change without notice. Card expires 12.31.19. Visit the Golf Shop or purchase online to join. Program subject to change without notice and requires a six month commitment. Additional terms and conditions apply. *Range and Course subject to availability, which may change day to day. The PDP Card cannot be used for leagues or outings; however it can be combined with other Annual Pass Programs or Card Programs. The perfect option for a quick golf getaway! Each round includes a cart, hot dog and a soda PLUS Use Your Ticket for 10% Off Merchandise. 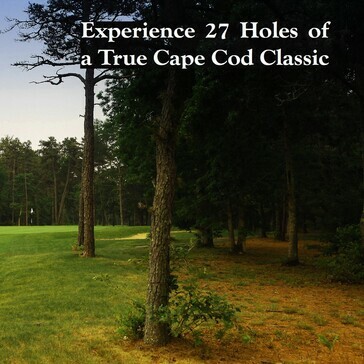 Call the golf shop at 508.548.3211 for more details. 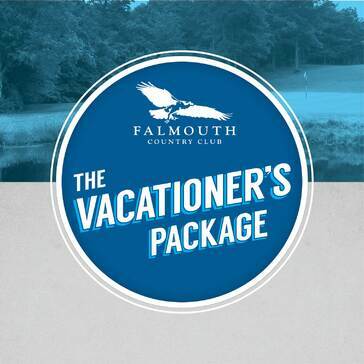 Vacationer Package Rounds May ONLY Be Redeemed Monday - Thursday on The Osprey Course! Join us for fantastic golf events. Improve your game. Meet new people. Most of all, have fun! Call or Visit the Golf Shop for additional details. We can’t wait to see you at the course! 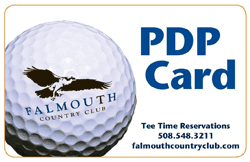 Falmouth Country Club’s driving range has been newly renovated with 20 hitting stations. We have a chipping green, putting green, and bunker short game practice area to work on and improve your game. 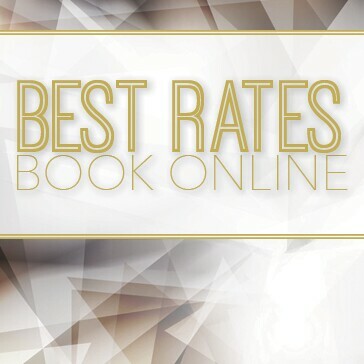 *** The Range Key offers our guests a discount as well as convenience!! 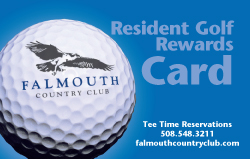 Thank you for requesting information about joining Falmouth Country Club.